President Trump responds to a federal judge's decision on the Keystone XL pipeline. A federal judge in Montana has blocked construction of the $8 billion Keystone XL Pipeline to allow more time to study the project&apos;s potential environmental impact. 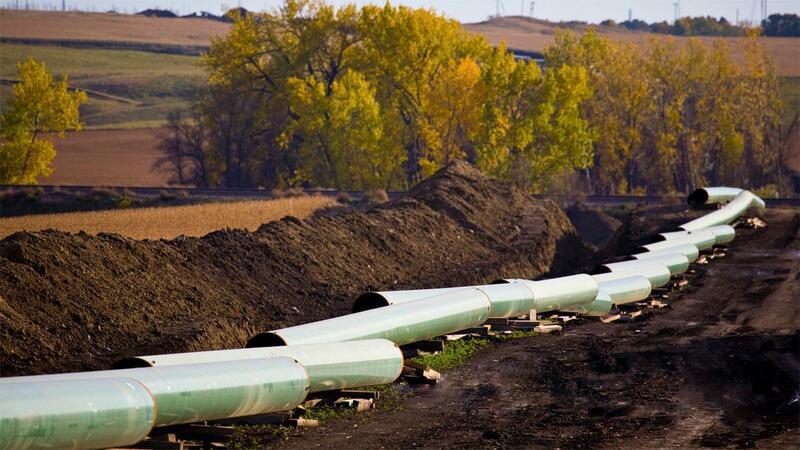 The Great Falls Tribune reports U.S. District Judge Brian Morris&apos; order on Thursday came as Calgary-based TransCanada was preparing to build the first stages of the oil pipeline in northern Montana. Environmental groups had sued TransCanada and The U.S. Department of State in federal court in Great Falls. Morris was appointed by President Barrack Obama in December of 2013. TransCanada shares fell on Friday along with related producers. Morris says the government&apos;s analysis didn&apos;t fully study the cumulative effects of greenhouse gas emissions, the effects of current oil prices on the pipeline&apos;s viability or include updated modeling of potential oil spills.